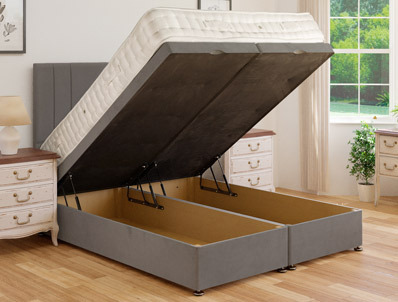 The Siesta End opening ottoman base offers a affordable good solid ottoman bed with a solid base and powerfull gas struts that can lift up to a 45 kilo mattress. 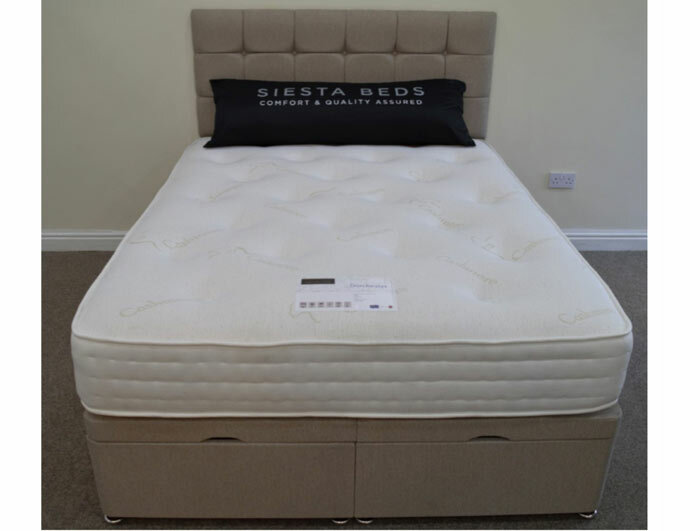 The base rates as number 8 in our top ten and is considerably better than the Sweet Dreams Clayton or amber Base and is made in 2 vertical pieces in double and king size which bolt together in the base and the lid. Single size base comes in just one piece. 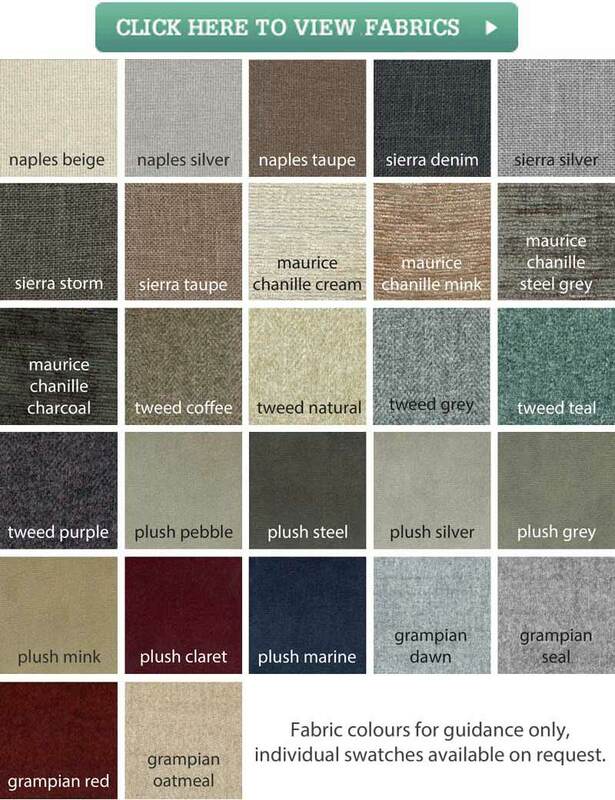 There is a wide range of fabrics to choose from. 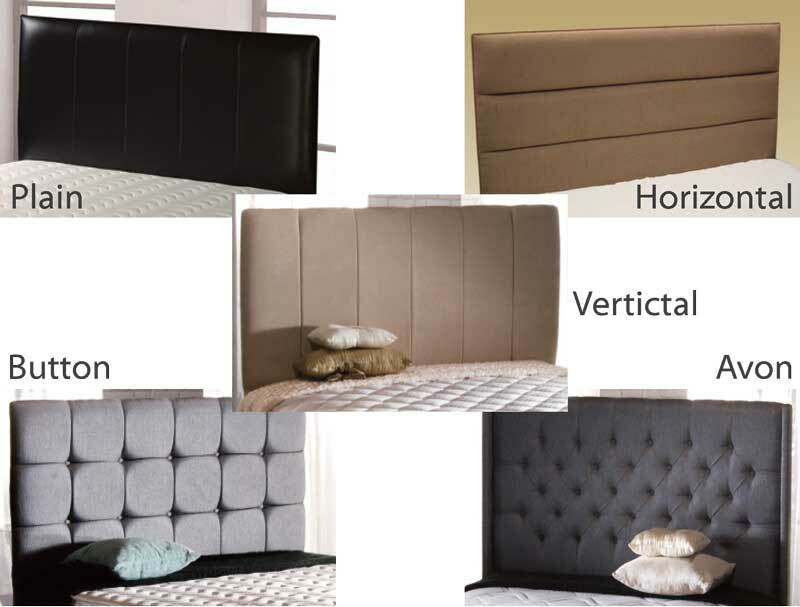 Picture for illustration only so Base may not have pull down handles we are awaiting a more upto date picture.